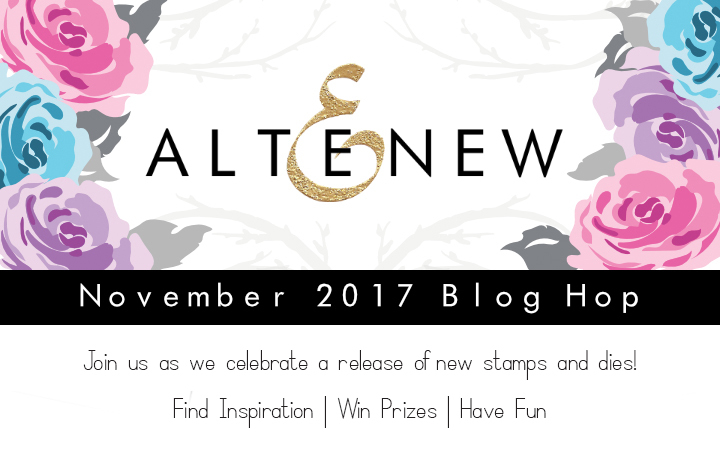 Hello and Welcome to the Altenew November 2017 Release Blog Hop! I'm so excited to join this hop!!! 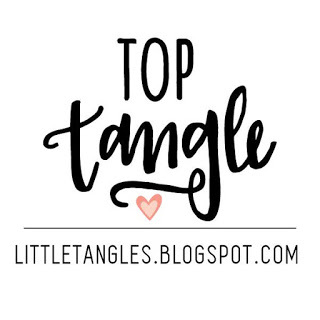 I hope you came from Terhi's blog but if not, please check the full blog hop list in the bottom of this post. 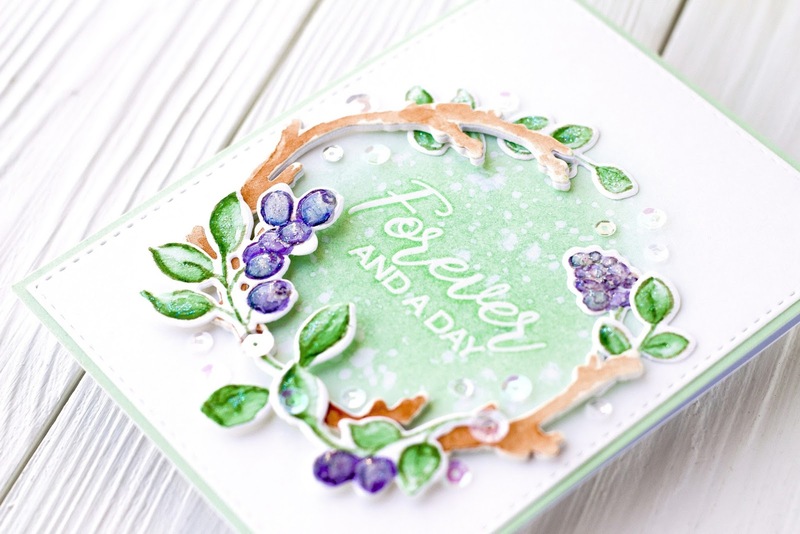 When I first saw this gorgeous stamp set, I wanted to combine it with a floral stamps to create a wreath. I started by stamping the berries image from Golden Garden set on watercolor paper using Sand Dunes Altenew ink and coloring the images with Gansai Tambi watercolors and die cutting with their coordinating dies. 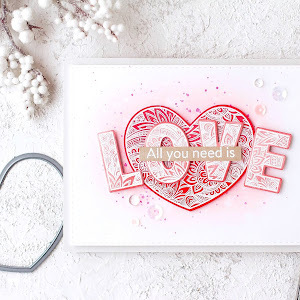 For my background I stamped the heat embossed sentiment from Forever And a Day stamp set with clear embossing powder and blended some light green ink onto the center of a piece of paper and sprinkled this with water. I cut the branches from the set out of white card stock a few times, to create more dimension and to make it stand out on a light green background and adhered it to my blended panel to create a wreath for my flowers. I slightly colored the branches with light brown paint and adhered all the elements onto the card and attached it to the light green card base. For my next card, I made a pattern with feathers from Golden Feather set. This is such a beautiful stamp set! 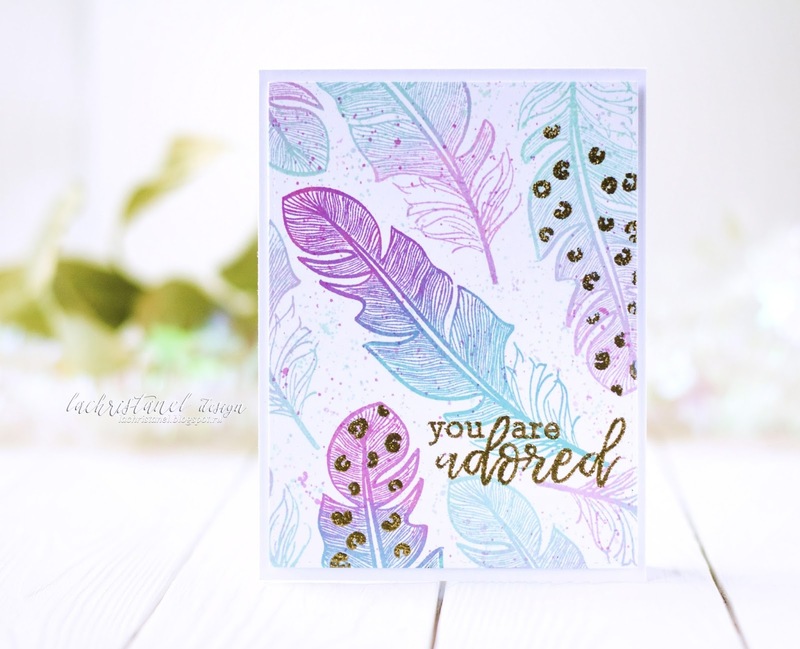 I stamped the feathers in two shades of pink and turquoise Altenew inks using the MISTI, then I stamped details on the feather and the sentiment from Story of Us stamp set and heat embossed it with my favorite gold embossing powder. I made a lot of cards with Story of Us stamp set in different variations, because I just adore this stamp set! 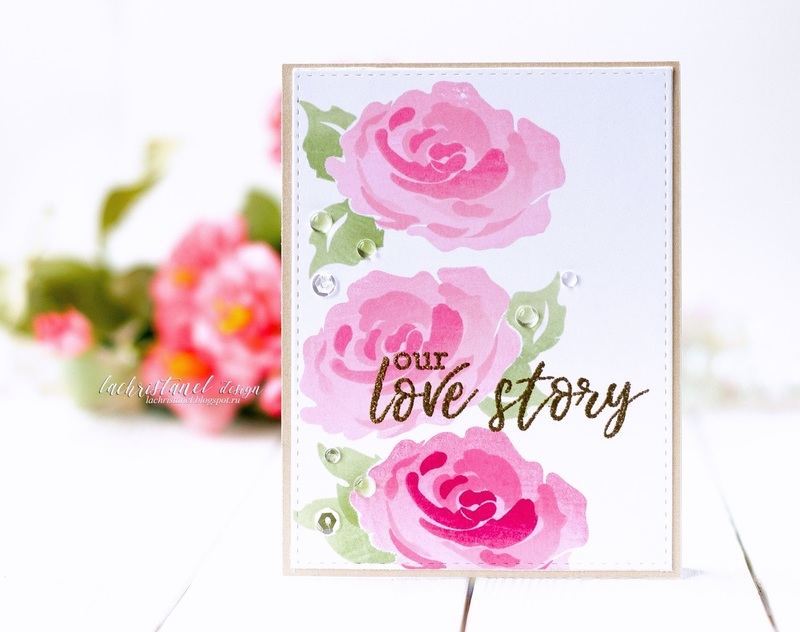 For my first card, I stamped rose and leaves from the Story of Us set with Coral Berry and Forest Glades Altenew inks on watercolor paper. Then I took my wet paintbrush and went over them with just water to blend them and give them a watercolored look. Then I watercolored the background with more of the same colors. After it was dry I speckled it with more of the same inks. Then I stamped the sentiment with black ink and added a few sequins. 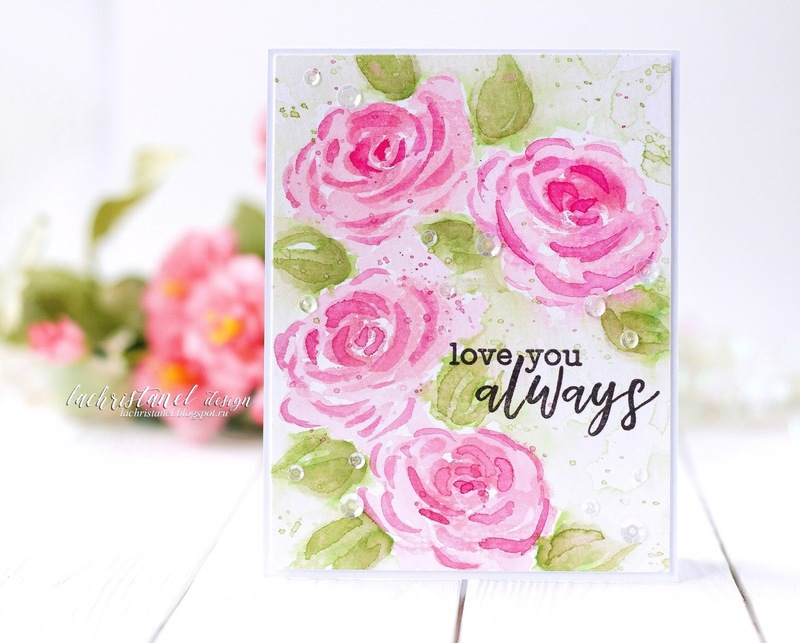 For my second card, I stamped the layered rose and the leaves a few times with masking technique using Altenew inks. I stamped the images in two shades of pink and green, applied ink to the stamps from light to dark using the MISTI. I also added the heat embossed sentiment and few clear sequins and droplets. Here, I did something similar, but I used my favorite color combination. 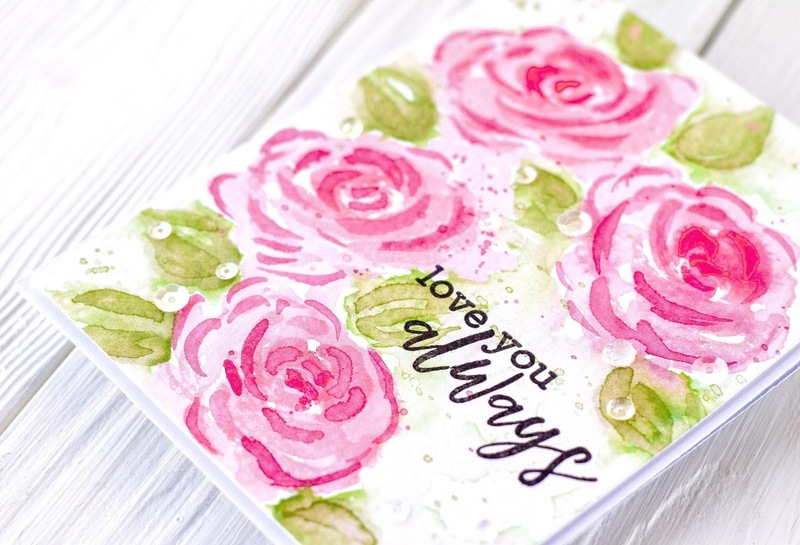 For my last card, I stamped the layered roses and leaves using Altenew inks, and added details with Copic markers, polychromos pencils and white gel pen. Giveaway: I will also randomly choose a winner from comments left on this post and the prize will be $30 gift certificate to Altenew online store. One lucky winner will be announced on November 16th on this post. The winner of $30 Gift Certificate is Angela!!! Wow! All of your cards are amazing! 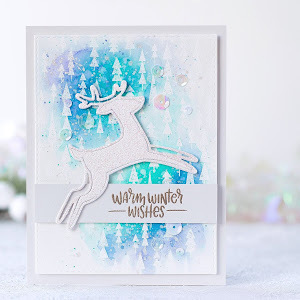 I love how you created a wreath by combining an older stamp set and dies with a new stamp set and dies! It is so pretty! 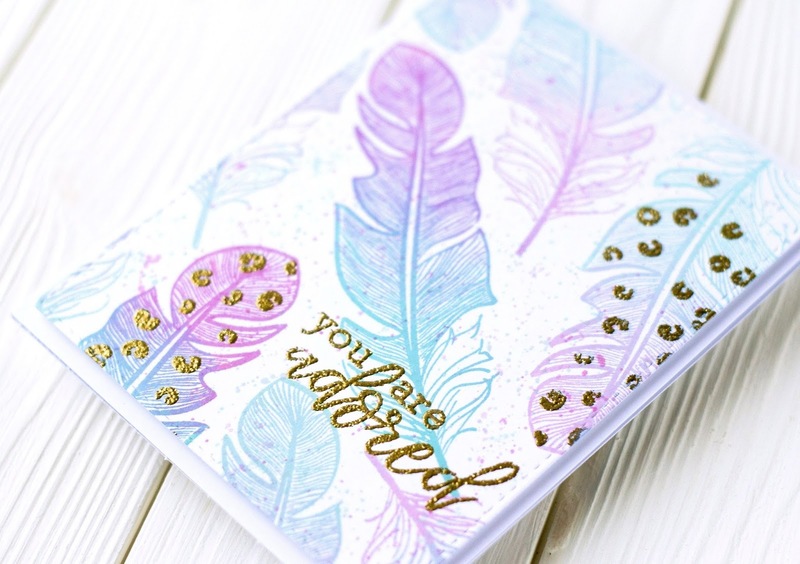 The feather card shows off this new, detailed feather stamp in this set. I love the colors you chose for it. 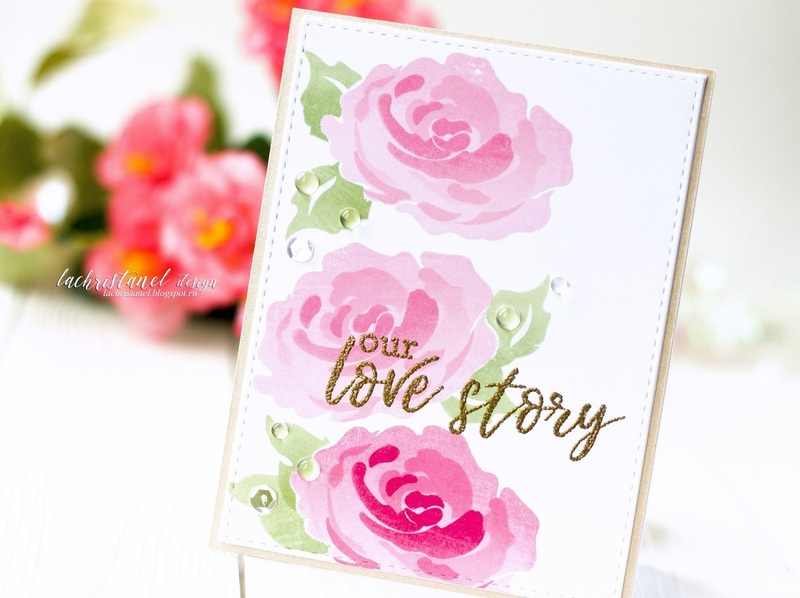 All of your Story of Us cards are gorgeous! I love that rose stamp! Your last card doesn't even look like the same stamp set to me with the beautiful details you added. Wonderful job on everything you created! Congratulations!!! 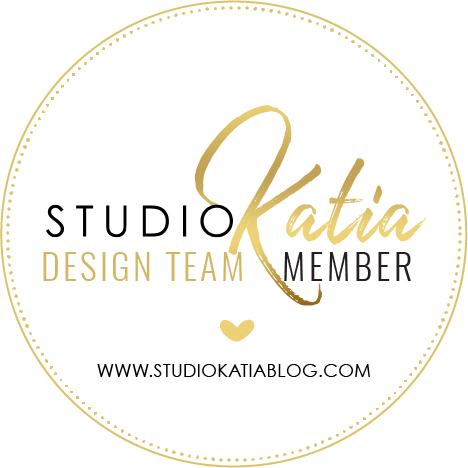 Please write at winner@altenew.com by 11/30/2017 with the subject line Altenew 11/8/2017 Release Blog Hop winner from Kristina's blog. Really gorgeous cards. I love the colors. Love the colors you picked for your cards! Stunning! These cards are gorgeous and each unique, using different techniques. Speaks to so much you can do with the new release stamps and dies. Beautiful! Thank you for sharing. Wonderful results, love all the flowers! Great release, love your projects! Especially the Golden Feathers set! 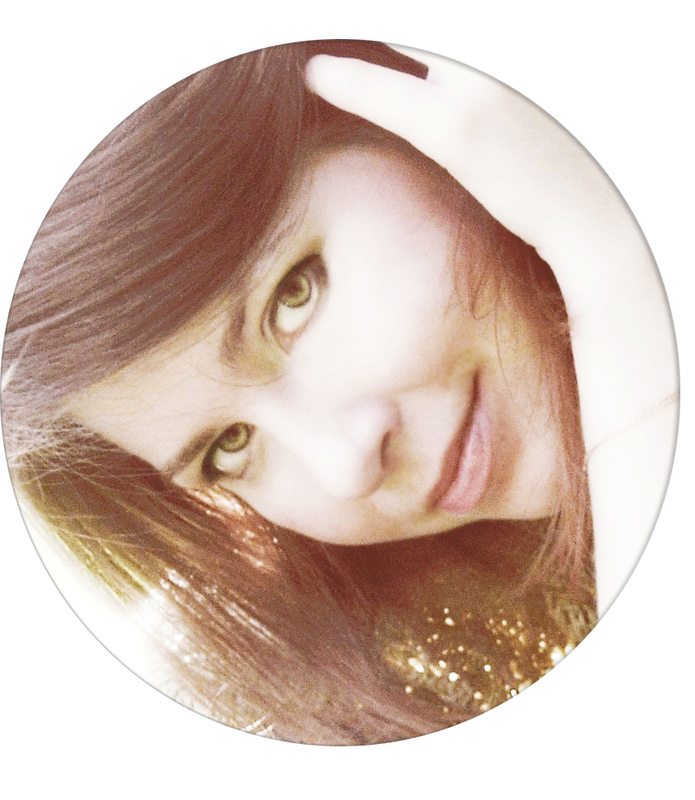 A lovely way to end the blogshop! Lovely cards and the variety of colors are so pretty! I can see why you couldn't stop! Beautiful! Loving the "story of us" stamp set! Beautiful cards, love the leaves in the last card, they are so realistic! Your cards are stunning, your coloring techniques are super gorgeous. Wow ! The difference between your two last cards is incredible.... The others cards are also beautiful, of course, but the work you did on the last one is stunning ! Wowzer!! Lots of work and stunning results!! I love the color combinations you used on all of them! Wow, lots of pretty cards full of awesome inspiration! I really love how you colored the last one, adding white to the flowers & leaves. Beautiful! WOW these are sooooo amazing!!! You are a true artist! Wow! I love every one of these gorgeous cards! Awesomeness! Stunning cards! You really showed off the versatility of these new stamps. I love the way you framed the greeting on the first card. Beautiful! Love all your cards, beautifully done!!! It's hard to describe my feelings for these card . But a big wowed is not enough.. I love every single one of your cards . 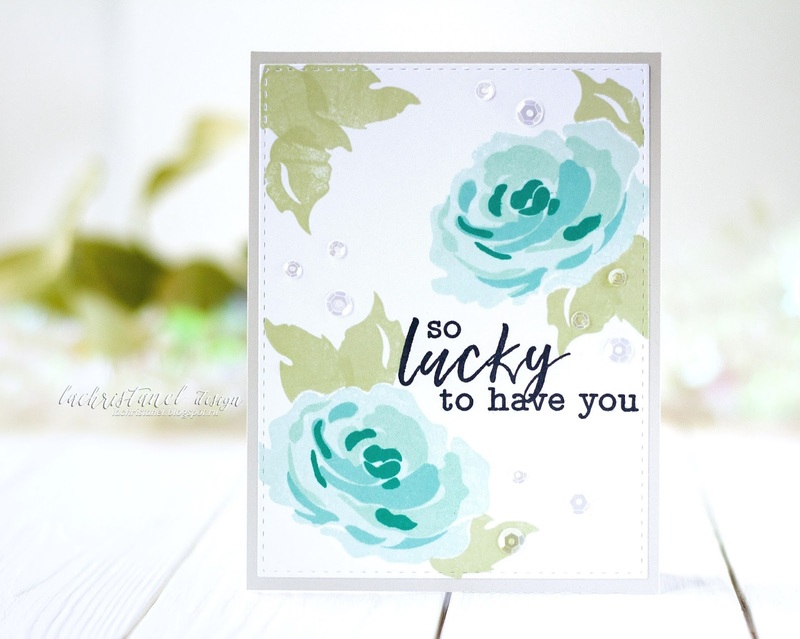 They are amazingly gorgeous with elegent touches.. from the bottom of my hard thanks for sharing your creativity with us..
Three beautifully crafted cards...thanks so much for sharing them on this blog hop. Pretty cards! Love them all! I love all your cards. They are beautiful. The first one really caught my eye because I do love the Forever And A Day stamp set. I love the design and colors of your card using that set. Wow, these cards are all so beautiful! I love the color combos on the roses, and the pink and turquoise feathers are my favorite. I love your twig wreath card. The pairing with the berries is perfect! Your cards are simply beautiful! Thank you so much for the inspiration! Very lovely cards! Thanks so much! Such awesome cards! Thanks for your inspiration! Nice name! Perfect spelling. Loved the color choices in the first two cards. All are gorgeous! 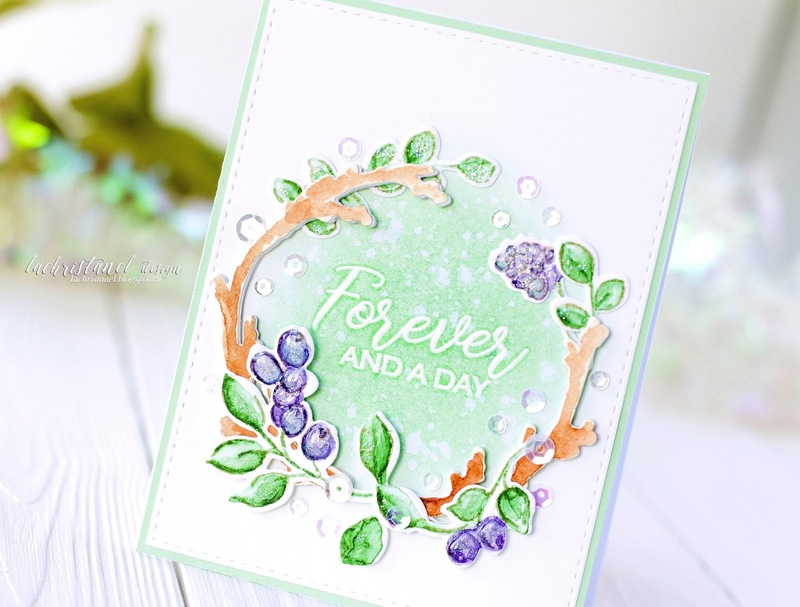 I loved the way you used the Forever and a Day Stamp and Dies, it's one of my faves from the new release. Thanks for sharing. Amazing cards. 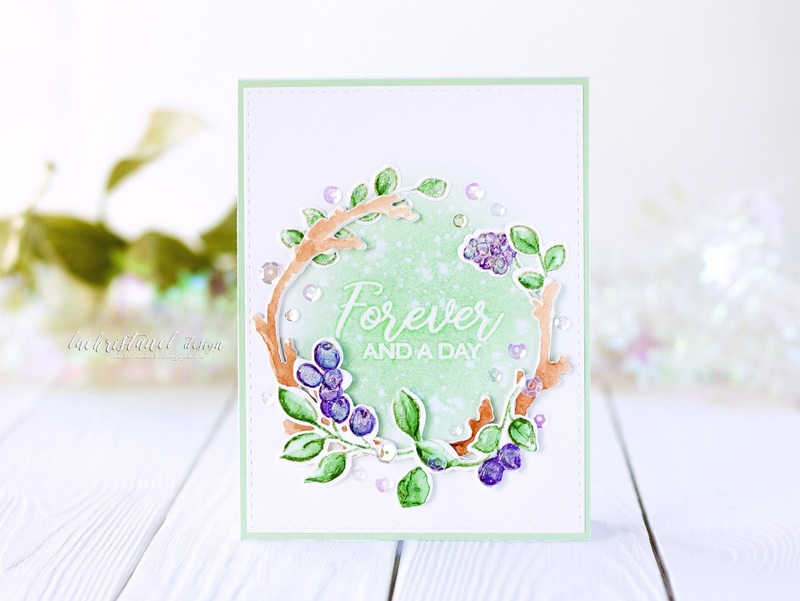 I love the soft pastel colors that you use, especially on the wreath card. Such a great release. Your cards are just so beautiful! Gorgeous cards, love them all especially the wreath card, beautiful colours and gorgeous dies. Love your style. All cards are so pretty and the colors so soft, even brights. Gorgeous cards! 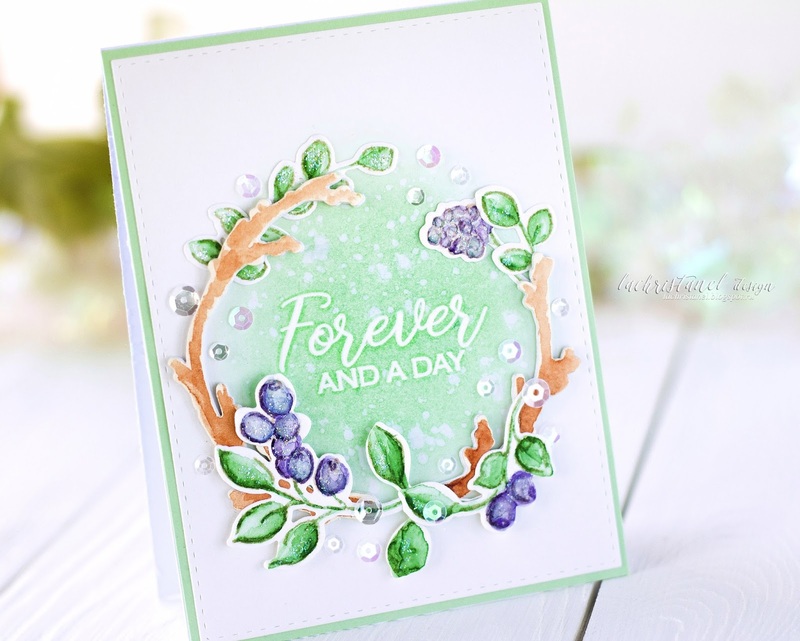 I especially love the Forever and a Day card with such a beautiful color combo! Pretty colors and designs on all of your cards. 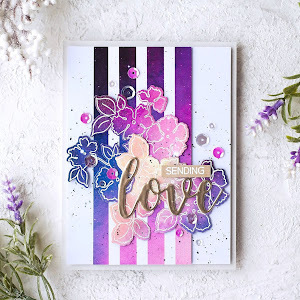 Beautiful cards and gorgeous colours! These cards are just so stunning, thank you for sharing them. I really like all of your cards, quite inspiring. I absolutely LOVE your feather card (that set is a MUST have!!) as well as your last flower card, it's stunning. TFS your creativity:). I love the Forever stamp set. It is delicate and so pretty. Gorgeous cards. Love the colours you picked for your cards. So pretty. Great colour palettes on your cards. Your wreath is lovely. Beautiful cards. Wonderful colors. I especially love the first card. I just love the watercolor feel that all of your cards had. Very Nice! Love how you used the STORY OF US SET. Your cards are gorgeous! 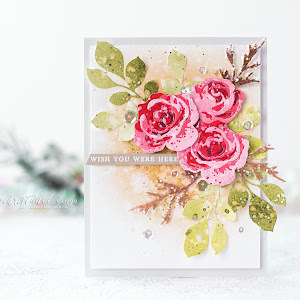 I really like how you used a floral set with the branches on the first card--well done! You have been busy. Such beautiful cards and such a lot of inspiration. Thank you. You have been busy. You made so many wonderful cards. Love them all! Love the cards and the pale colors. This is a great release. Thanks for sharing. These are all so pretty! I love how soft and sweet they all are! Wow, you really dug in to show how all the different crafting mediums could work with this stamp set! Thank you! 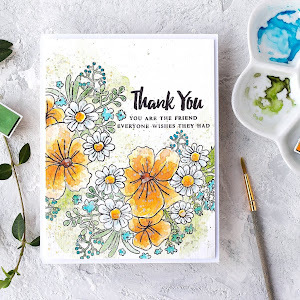 When I first saw your wreath card, I actually thought you had done some colored pencil accents; you really managed to create that look with your watercoloring, and I love it. And as if that wasn't enough, the contrast between all your floral cards was stunning. I tend towards the watercolor, and I love how that one turned out, but I was surprised by how well this worked with the higher contrast version of copics and colored pencils. Thanks for showing that! Yet one more option that I'll have to explore. Beautiful cards! So soft and feminine. I love this new set...Story of Us...on my wishlist. Love the feather card, it pops off the page and I love the colors that you used. Lovely work. Gorgeous cards! The first one is absolutely stunning! Oh my goodness !! This is an amazing set of cards !! Kinda aerial look ! So beautiful! I really love them all. The first card has sold me on these stamps! Lovely cards! 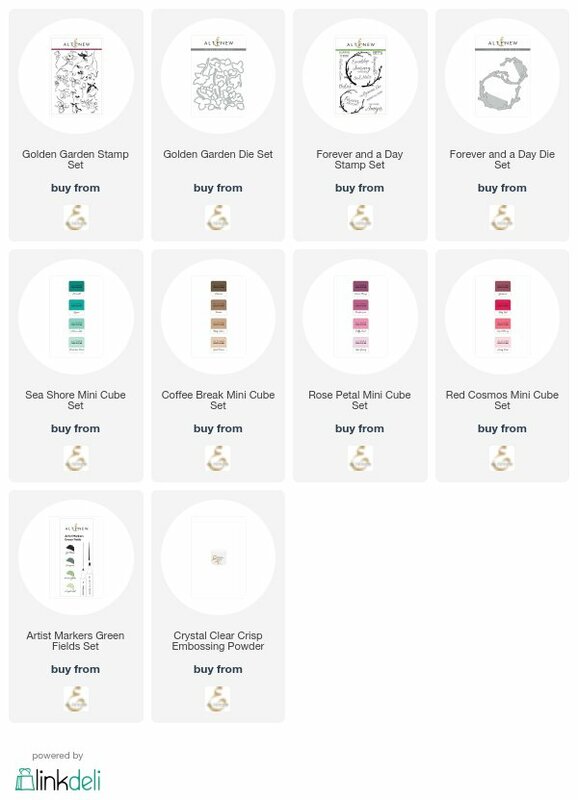 I already have the Feather set on my wishlist, but you just made me add the Forever and a Day set. What a delicate, beautiful card! So much inspiration! 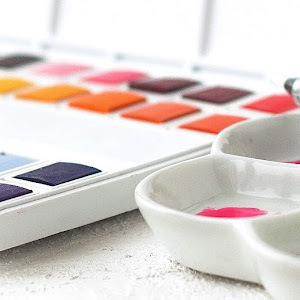 Love your watercoloring. Wow! 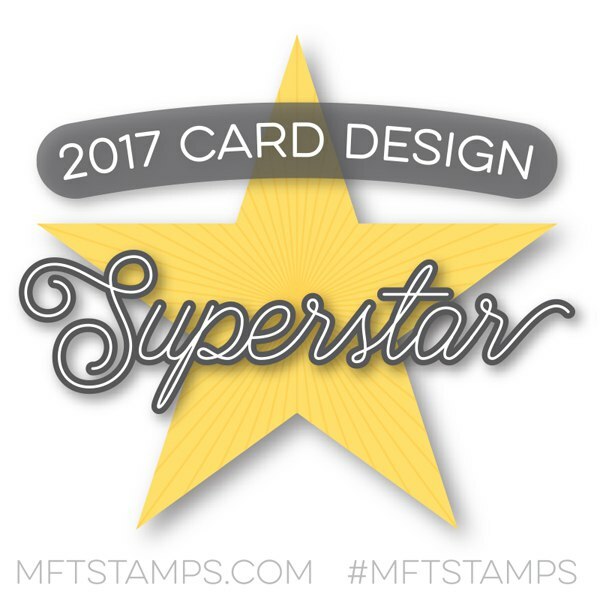 You have made six stunningly beautiful cards! I just adore that flower as well from "Story of Us" and there are indeed endless possibilities using that lovely bloom! Thanks for the awesome inspiration! 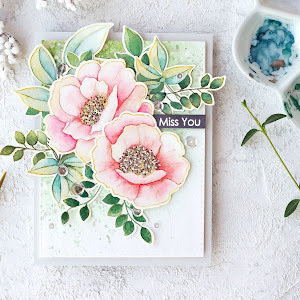 Soft, gorgeous cards! 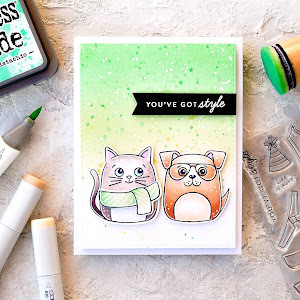 Love the details you added in the last card with your Copics and colored pencils! So many beautiful cards! I love the colours for the feather card. Love your fabulous cards. Great designs and beautiful coloring. 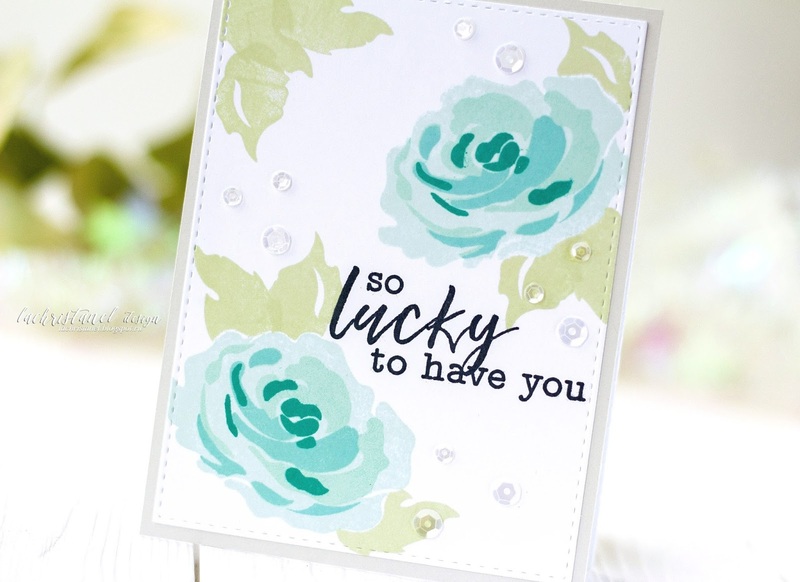 Such lovely cards - love the colors you used. Beautiful cards love all the colors, Thank you for sharing your talent, glad you were in this hop, will now be following your inspiration. Your cards are very pretty, love the bright crisp colors! !